I think that I am still in a bit of a denial/hopeful phase since my last PCR results. I am a bit shocked, a bit freaked and a bit doubtful that my PCR went from two negatives to 0.4%; that is .4% NOT .04%! Crazy, huh? Of course I am already anticipating my next PCR and wondering whether or not this result was a fluke, a mutation or just par for the course. Three years down the road I was convinced that I had a handle on all of this CML “business”; I thought that I was on track and that I was simply going to stay there! Joke is once again, on me! Anyway, along with my increased PCR comes an increase in medication, which means an increase in side effects. I increased my Sprycel intake from 70 mg to 100 mg, two nights ago. By morning of the first increase, the pain in my back returned, the fatigue increased to the point of not wanting to get out of bed and the nerves in my hands and feet are screaming. My oncologist gave me a prescription for Gabapentin, also known as Neurontin; I filled it yesterday in preparation of an onslaught of increased pain. Of course, since I am so adverse to medications, the package insert is quite frightening. Warnings that I may go crazy, become suicidal or violent, or have an allergic reaction leading to death, not to mention I may experience increased memory loss (oh, yeah), fever chills and a sore throat, and maybe an irregular heartbeat have me wondering whether the gain outweighs the risks, or not. I can deal with a bit of nausea, diarrhea and clumsiness if my body would eventually adjust to the medication and help alleviate the pain enough to carry on with life, but I am not sure the chicken in me will allow me to give it a try! I suppose if the pain gets bad enough, which it has in the past, I will be willing to take the risk, since taking a break from Sprycel to allow my body a reprieve, is no longer an option. I am hoping that this little blip in my journey is just that; a blip! I don’t know why I ever thought that this journey would ever be easy, consistent and without surprises, but as always, whenever I believe that I have a plan, and that I am in control, I am reminded that I am not! 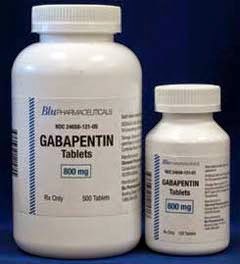 I would love to hear your experiences with Gabapentin! Blessings and a great day to all! Michele, I am so new to this board, and pretty new to CML (Since last July) but there are other drugs that can be used. Has your doc already tried them? I know that some people have trouble with all of them and maybe just have to choose the lesser of all the evils so to speak! I pray for you and that you feel better. I have not had those problems and I pray I will not. May God help you to tolerate what you have to for this treatment. Yes, there are other drugs, but I really feel that Sprycel IS the lesser of the evils! 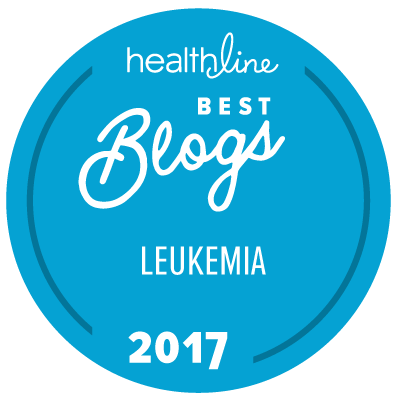 Leukemia and Over One Million Page Views! Traveling with CML? Here Are Some Tips! Do I Need a PCR Test; or is a Blood Test Enough?